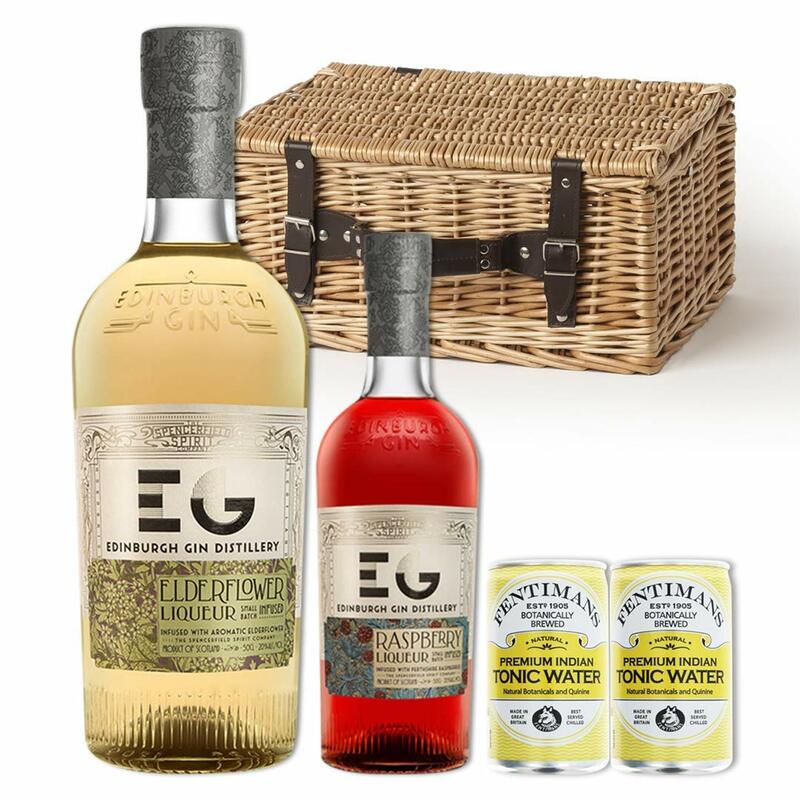 One of our trio of gin liqueurs, Edinburgh Gin’s Elderflower Liqueur is distilled using the best native ingredients, locally sourced from the rural landscapes which surround Edinburgh. Subtle yet complex, this floral liqueur is made with freshly-picked elderflowers. Elderflowers have a distinctive floral aroma and flavour that marry beautifully with gin botanicals. The summer’s elderflowers are handpicked in full bloom and then infused with our classic Edinburgh Gin. The flowers are then left to macerate for a month for full flavour extraction. Our 20% ABV Elderflower Liqueur brings a light, floral profile. It is a honeyed, flavourful libation that’s an ideal counterpoint to sharper flavours, and makes a refreshing Elderzest cocktail when paired with gin, lemonade and fresh mint. It makes a sweet addition to good quality tonic water or Prosecco, and is equally enjoyable served over ice. 2 x Fentimans Indian Tonic Waters (125ml): The world’s first botanically brewed tonic water is made with a blend of herbal infusions and lemongrass extract which creates a refreshing and unique tonic water.